To an extent, watching The Imitation Game is like watching an extended film of Sherlock. Benedict Cumberbatch has made his career playing mastermind geniuses – but can you blame him when he’s so good at it? The Imitation Game is a biopic on the life of Alan Turing, the code-breaker, mathematician and closeted homosexual who cracked the German Enigma code to help the allies win WWII. As with Sherlock, Cumberbatch’s Turing is a man who shuns human relationships in favour of logic, a man who sees everything in life as a puzzle that needs to be solved, a man who doesn’t joke. His arrogance is insufferable; his genius undeniable. Cumberbatch also draws on another of his recent roles, that of Dr Frankenstein in the National Theatre’s 2011 production. Like the mad scientist, he busies himself with his code-breaking creation, bits of machinery lie before him like dissected bodies. One character even describes him as “a monster”. However robotic his actions, though, he remains human. The film’s narrative ambitiously parallels his cryptanalyst work with his troubled boyhood and eventual arrest for gross indecency. It is framed by an interrogation in which he explains a “game” to the detective to decipher whether a mind is computerised or human (the Turing test). Tellingly he asks “am I a machine, a person, a war hero or a criminal?” It’s left for the audience to decide. At the heart of the film is the need for secrecy, not only in keeping the machine under wraps from the enemy, but in Turing keeping his sexuality in the closet for his own protection. The film seeks to position him as a tragic, misunderstood figure, but Turing remains something of an enigma. He is a man unable to open up to the public – or to the audience - though Cumberbatch’s sensitive and complex performance certainly balances the logical mind and the conflicted heart of the character. Turing isn’t the only outsider of the film. Keira Knightley joins an impressive supporting cast of British talent (Mark Strong, Charles Dance, Matthew Goode, Rory Kinnear) as Joan Clarke, the only woman on Turing’s team and his fiancée. She too must prove her intelligence, though because of her gender she doesn’t have “the luxury of being an arse”. Knightley offers a convincing performance of both vulnerability and strength. That said, Clarke is not an equal partner to the film’s protagonist – it is oddly Turing’s relationship with a woman that is explored here. His homosexuality remains hidden, the film backwardly refusing to take a risk. 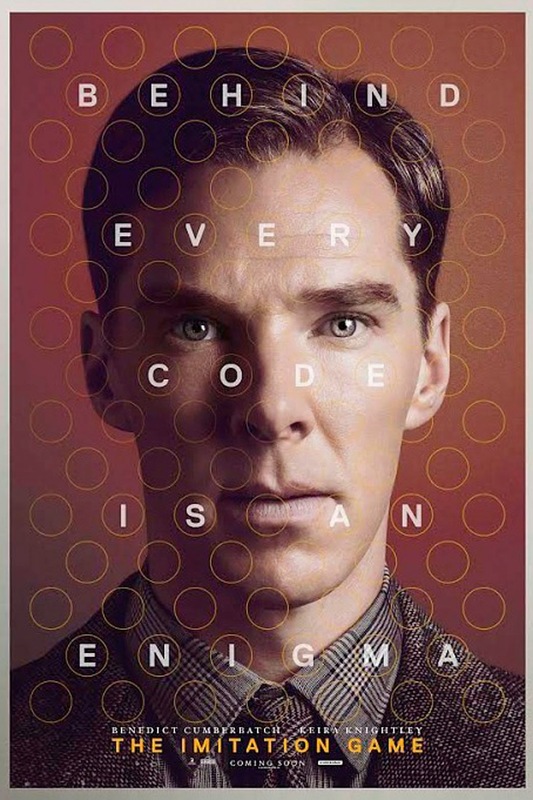 The Imitation Game undoubtedly sends us on an emotional rollercoaster, albeit one with an eminently quotable script (“sometimes it is the people no one imagines anything of that do the things no one can imagine”). There is of course much sarcastic humour in seeing such a robotic man failing to fit in, but any small triumphs are juxtaposed with melancholy and murky war imagery. It’s a film that’s not afraid to tug the heartstrings, even if it veers into melodrama. Naming his machine Christopher after his boyhood love is perhaps a step too far, the adult Turing an almost deranged loner in love with a machine. Alexandre Desplat’s orchestral score is also of note. It, too, reflects the heart and mind dichotomy of the film, incorporating Morse code into the piano lines alongside sweeping emotional strings. It’s a poignant partner to the film’s narrative. Cynics will note the film’s heavy leanings towards Oscar success, but it’s easy to get swept along by this polished period thriller. Beneath the Hollwyood veneer, it’s a film that (perhaps wrongly) favours the mind over the heart. The result is a celebration of a forward thinker, a figure who was far ahead of his time and made a lasting impact on today’s society. Isn’t that the mark of a genius? Watch: The Imitation Game premieres at the London Film Festival and is released on November 14th.